Thank you for choosing Myers Street Dental Clinic as your preferred local Geelong dentist. We are thrilled to have you as our patient. We pride ourselves on giving you the very best in dental care and service. Please find all the relevant information about your next visit here in the one convenient location. If you have a dental issue that needs immediate attention, we have daily emergency appointments available. Please call us on (03) 5222 4599 as soon as possible, so we can address it right away. Otherwise, we can do a complete dental examination including low-exposure digital X-rays to ensure that a thorough and comprehensive diagnosis. We will take time to discuss our findings with you and show you the results, answer any questions you may have and help you set up a personal dental care program. The earlier your children are introduced to the dental clinic environment, the better they will accept and cope with dental treatment in their lifetime. It is important that their first memories are pleasant and calm, so we welcome parents to bring their children to observe their own routine check-ups. Age 2-3 is often a good time for a fun first-time visit. Children have a chance to meet us and get used to our clinical setting. Please plan to arrive 15 minutes earlier than your appointment time for your first visit with us. You will need to complete a New Patient Medical & Dental History Form, which is done on an iPad. Alternatively if you prefer to pre-fill this before your appointment, it can be downloaded here. Reading glasses – to help you complete your forms and discuss your treatment on computer screens and printed material. Dentures, sleep appliances, retainers, bleaching trays – so we can check if the fit may be altered as a result of any treatment you may receive. Private Health fund membership card – your convenient on-the-spot rebate can only be processed on the HICAPS system if the card is presented on the day of attendance. If the card is not presented on the day, you will have to claim your rebate with your Private Health Fund separately. Make-up – in case you want to freshen up after your dental treatment! If you are moving from another practice and wish to transfer your records to our practice, you can collect a consent form at our reception in the weeks or days before your appointment. This needs to be signed and forwarded to your previous dentist, so we can get your records transferred to our practice before your dental assessment with us. Please know when you schedule an appointment, your visit is reserved just for you. This is how we are able to see our patients on time, build a relationship with you and make sure you leave on time so you can get on with your day. If you are unable to keep an appointment, we ask that you kindly provide us with at least 24 hours’ notice so that we may offer that appointment to another patient who is in need of urgent dental attention. Payment for the consultation and any procedures performed is due on the day of treatment. 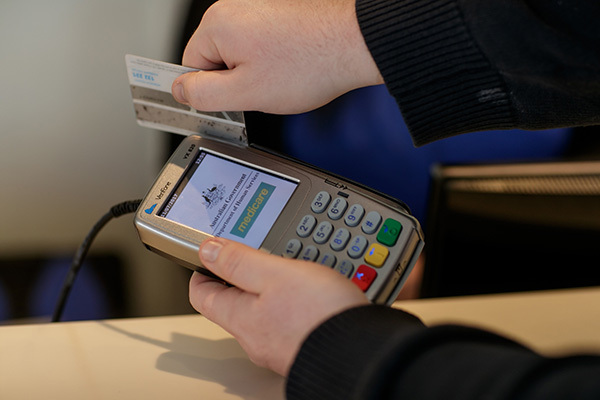 We welcome most forms of payments including cash, EFTPOS, VISA and MASTERCARD. We also have HICAPS to assist with your on-the-spot insurance claim and quotations. Payment plan options may apply to some dental treatments. Please speak to our friendly front office staff or your dentist to find out if this applies to your treatment needs. FAST FACT: The most valuable tooth in history was sold in London for $3633 (today that is $35,700) and belonged to Sir Isaac Newton. (Guinness World Records 2002).